I haven’t been blogging — obviously, the last blog has a picture of a blizzard and birds who can’t believe their luck are breakfasting on swiped grass seed from the front lawn. I’ve been form Istanbul to Iowa and various stops in between since last writing. I always have more excuses for not writing than for eating unhealthy foods and I’ve been delving into both of those pass times shamelessly. Although not writing here, I do have three manuscripts in process — and a fourth that is only in an infant stage. 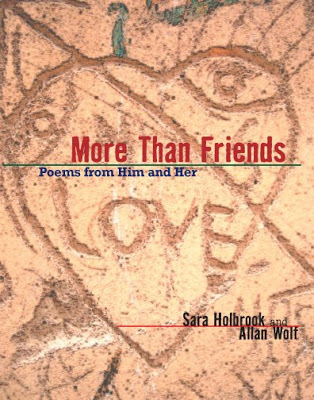 More than Just Friends — this book now has a cover, see above. The photo was shot by my friend Steve Smith, now of Mexico when he and his wife were living in Morocco. These were the same two that we visited in Croatia in December of 2006 when and where I actually wrote two of the sonnets in the book. Allan Wolf and I are anxiously awaiting layouts of the book to see what was done with the photos inside of the book. 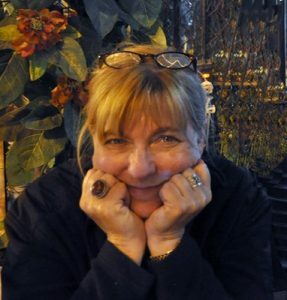 I am also working on a manuscript of poems for primary folks and this week I am visiting Mentor High School to write definition poems with the tenth grade for a teacher professional book — working from a vocabulary list from Lord of the Flies. High school kids treat vocabulary lessons with same the gleeful anticipation that gets them jazzed before, say, a gritty dust storm. A storm that would be bad enough to get under your tank top but not bad enough to cancel school. In preparation for entering the storm, I took one of the words from the list and made a kind of monologue definition of it. I am hiatus and I don’t go with the flow. Interrupting the current, I’ll dam up your stream. I’ll be the chasm in your prairie. I’m the off switch on your wall. Got the picture? The picture with the hole in it? All things considered, that one seemed appropriate to share here. Except, I’m not gone. I’m back. Hiatus is over. I hope. thank you for this opportunity of having my foto from inside the walled city of Essaouira, Morocco, used as the cover of your book – it tickles me no end. now i’ve been paid for being a poet, an artist, a publisher, AND a photographer.